You must make reservations at least 5 minutes in advance of the time at Padella at the Westin Washington Dulles. Valet available through the Westin Washington Dulles. Convenient Complimentary garage self park. Fresh, Simple, Italian...Chef Luis Vasquez presents a very approachable style combining local Virginia ingredients and Italian flair. Breakfast features a SuperFoods menu to begin your day in a healthy way, served a la carte or buffet. 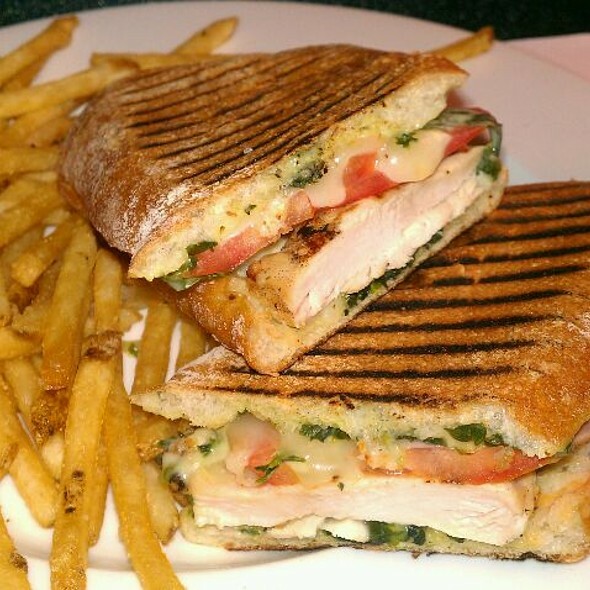 Lunch promises to be quick or leisurely with a full menu of salads, panini and pastas. Very good service and food. No complaints. Bread pudding was excellent! Perfect restaurant for a jet-lagged couple just arrived from Europe. Excellent Dry Martinis and a laid back charm. Very tasty food. Now we know where to stay and dine next time. Located in the lobby of the Hotel. We have the arancini and margherita flatbread for appetizers. The arancini were crisp and warm. The flatbread was nothing special. I would pass on that for the price to value. My wife and I split the dinner salad which came with a generous helping of blueberries and raspberries. The goat cheese and vinaigrette were tasty. Would definitely eat again. My wife ordered the Shrimp Carbonara and I had the Chicken Caciatore. My wife liked her dish quite well, I wasn't as big of a fan. My Caciatore was fantastic, however, you better like brussel sprouts as there are a lot of them. Nice place to catch up and have a drink and a bit to eat. Breakfast buffet was nothing special. Fruits were good. Hussin was excellent server. We went here because of a coupon and it was a huge mistake. The only good thing about the meal were the breadsticks and wine. We had a steak and a shrimp meal and both were edible but not very good. I'm pretty sure the mashed potatoes were from a box. Had second thoughts after booking considering it was located in a hotel where the proximity of other restaurants requires a drive/taxi. All courses were prepared well and tasty. Mushroom soup was really good. Entrees may not have been cooked to order (too uniform from plate to plate) but were still satisfying. Quite acceptable if staying there. Our server Elsa was amazing. We arrived as the kitchen closed, but she promised to take care of us. As a courtesy, my party ordered all food items at once which came out in record speed. Everything was delicious, including cocktails. Very convenient location even though the establishment itself is a bit difficult to reach. Great spot! Menu was a little different than what they show on here; bartender said the menus change seasonally and had just changed for spring. Cocktails were good. They had everything we like , including a rather extensive selection of good bourbons. The local draft beers were also good. Happy hour pricing was nice. Apparently it's between 3-6pm monday thru Friday for half price apps and cheaper wines. Cut down the cost big time! They make a lot of things in house which really surprised me! Pastas, smoked salmon, daily soup selection... Don't expect that at a hotel. They make a mean frothy caramel martini for after dinner and have a few nice port wines to go along with the dessert selections. That and a fresh cappuccino and we were stuffed. Enjoyed the convo at the bar and the manager was very friendly too. Plan to visit again soon! Next time we are going to go romantic and sit out on the patio overlooking the gorgeous lake behind the hotel! Excellent airport hotel, excellent restaurant, courteous & helpful staff. Very convenient to the airport with a quick & free shuttle. Day rooms are also available at a reasonable rate. I have stayed here several times & have been impressed with the level of service & comfort. It's hard to even write a review for the restaurant because no one would serve us. We had 7pm reservations and I started trying to get seated at 6:30pm. After 3 trips to the front desk to get someone to help us, no one ever showed up. NO ONE. There was no one walking around the restaurant and no one to help us get a seat. I was there for a 2014 planning session with my employees and can honestly say I will never be back. And instead of being punished through dinner, we grabbed a cab and ate at Morton's instead. When I arrived the reservation was cancelled though (not sure why) - but the restaurant was not crowed. The bar was crowded but not the restaurant. Food was a little expensive but good and very good service. For a suburban hotel restaurant, Padella greatly exceeded our expectations. The bar was lively, we had an outside table in the restaurant with a nice view, the service was very prompt and attentive, and the wine list was good. The rockfish (mislabeled "Branzino") was very nicely sauteed, and the pasta bolognese was well prepared - al dente- and split in half in the kitchen for sharing. Overall, a really good restaurant. Food is on par with Macaroni Grill or Carrabas, but priced at least 50% higher. Ambiance is bland and corporate, and not intimate or special enough for the prices. Service is inconsistent and not well coordinated. We had one good waiter, and three that were poorly trained (and two did not speak English well). If you are staying in the hotel and don't want to get out, then Padella will likely satisfy you - especially if you are on an expense account. I don't see the average quality and lack of value satisfying local customers. Wonderful space, inventive menu, but the food was bland and disappointing. The soup of the day was french onion. It was served in a regular soup bowl with melted cheese floating on top of a panache of caramelized onions. My guess is that the soup is not oven proof so the cheese was not melted (and thus no light charring) at the right temperature. The cauliflower soup was much better. The seared tuna salad was okay. The red vinegar dressing was emulsified so it was more like an aioli. It was okay. 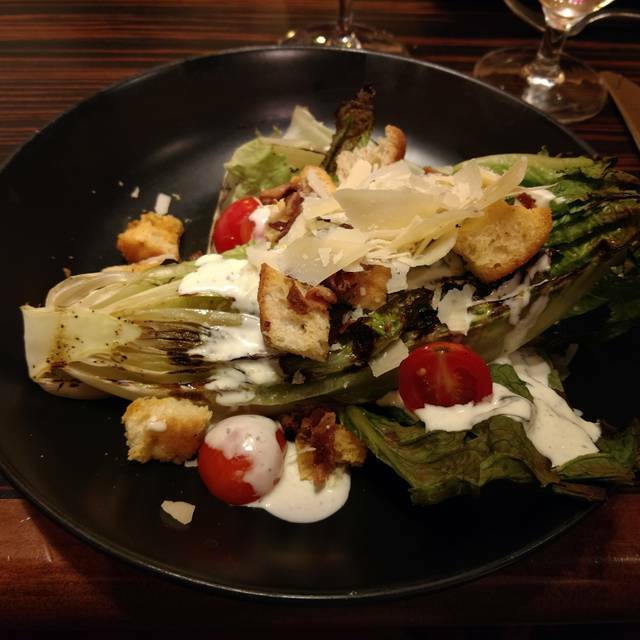 I usually eat at the Vinifera at the Westin in Reston but decided to give this place a try since it is much closer to my office. Lesson learned. There are not many restaurants in this area. We chose it to celebrate an office mate's birthday. We enjoyed the build-your-own salad as an alternative to a Salad Bar because we could stay at the table and socialize for our short time limit. There were only 2 other tables in our section. We had to stop waiters to place our order, to get our check, to refill our water. So I would have to recommend it because there's not much else close by, but not because of the food or service. Better than average and more economical than average for an airport hotel restaurant. My wife and I stayed at this Westin for a layover on our way to a winter getaway. We met friends from DC at Padella for a late dinner. We were quite impressed by the cuisine and the excellent wine list. Airport area hotels rarely boast anything like this. While we waited at bar, the bartender offered us tastes of some of the fine wines. All were excellent. Although I'm not big on fried foods in general, the fried oyster appetizer was outstanding - very light and tender. The Linguini with Clam Sauce was equally memorable - perfectly prepared with just a touch of spicy heat. Service was cordial and snappy. Highly recommended! though, $30 for the Oso Bucco. Moderately priced wine list. Went on Feb 14th, so I know they where much more busy than usual. But service (basically our primary server) was terrible. Example, of just a couple of about 5 things I could point out. We didn't get our bread until our main course came even after asking about it twice first when our drink order was taken, and then again when our soup appetizer arrived(which was pretty good except it had obviously been sitting for a while and really cooled down). We saw many other tables had their bread served before their appetizers arrived. what a great find in an out of the way location! Everything we ordered was wonderful....soup, salad and entree's. Great service. Pleasant atmosphere. Looking forward to going back. Padella is a very unique restaurant in that you can make your own salad or pasta! It is a great place to have meetings! I am very happy I found it and will continue to go there. 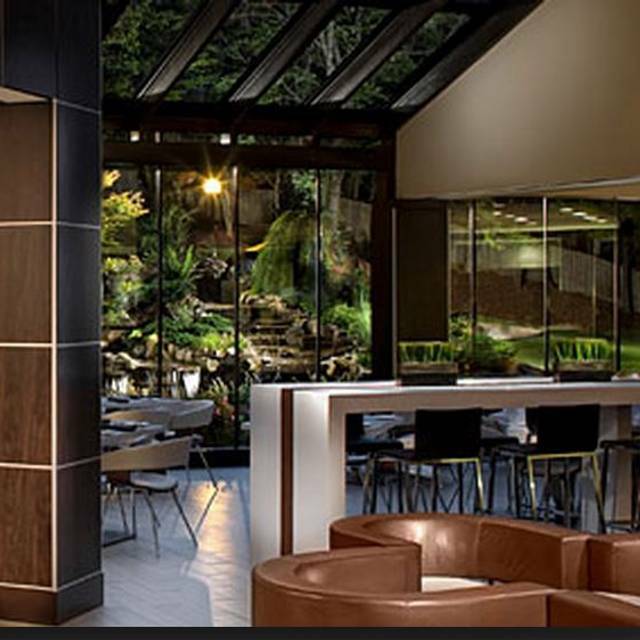 This is a "tucked away" hotel restaurant in a "tucked away" location -- i.e., a corporate office park. That being said, it is a great "neighborhood restaurant" for locals. Free parking, quiet ambiance -- and the food is great! New menu coming next week. Nice selection of entrees and apps, and a good wine list, fairly priced. Our server was very attentive and helpful. Tables are large and well-spaced, allowing for private conversations. Atmosphere of the decor was modern and sleek. The food and service were excellent. I would have ranked it higher, but the final bill was comparable to that of a 4 star restaurant, whereas the overall experience was not quite to that level. Though we were the only ones there when we arrived, the restaurant looked amazing and the food was fabulous! We were so excited to see the place and have it all to ourselves for our Mother's Day brunch. We loved the ambiance and the service, and have already noted that we would like to schedule another meal there in the near future... we highly recommend it! Food is delicious - service and atmosphere remind you that you are in a hotel - they should make another wall between the bar or something. Again, food is fantastic - chef superb. Would gladly eat there again though! Padella was great for a New Year's Eve dinner with friends. The dishes were all well-prepared, and we especially enjoyed the butternut squash soup and rack of lamb. The service could have been more attentive but was generally good. We stayed at this remarkable hotel with its very eco-friendly style that has lovely full gardens on its rooftops. There is also a full gym, lap pool, and gorgeous jogging area by a pond. The service is outstanding and friendly. We were here on a business layover and needed to rest and this Westin fit the bill with its "heavenly beds" in each room. As far as dining, we ate in Padella restaurant two evenings and really enjoyed the fresh pasta. My friend is a food TV show enthusiast so he raved about the fresh pasta with crab; and you gotta try the ravioli with suckling pig, yum! All I can say is the staffers from Fifi the hostess, Scott a server, and all the rest of the lovely folks couldn't be kind enough to giving us Metro directions. The pasta here is made in-house daily. It's worth getting! I recommend sitting outside on a nice day. It has a nice view of a pond and bridge. It was an excellent choice for Mother's Day for our elderly mother. There were very few other diners, and our small group of five essentially had a room to ourselves. The service was exceptional, with 3 different staff members giving us special attention and they were especially kind and attentive to our mother. We had a leisurely meal and felt like we were being treated royally throughout. Everyone enjoyed the entrees as well. I highly recommend for the food, service, and ambiance. This is the best fair I have had outside of Tuscany. The chefs knows how to craft some pasta. The osso bucco was fork tender. I am shocked this is a "hotel restaurant". Careful ordering Medium Well Steak.... mine came out Medium Rare and when I sent it back, it came back Medium. Mushroom Brie Tart was a bit salty. The Blue Cheese Salad / Pear was great. Chocolate Cake was very good. It's a nice restaurant; beautiful ambiance; but there is no dress code you have people coming from their hotel rooms with snow boots with only one shoe on (and barefoot)... to people with jeans and a t-shirt.